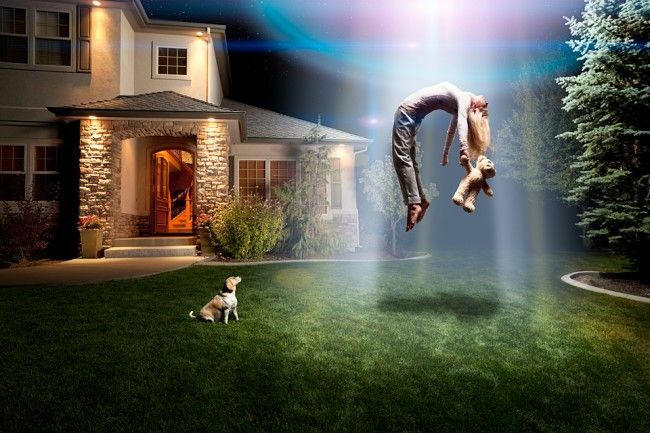 What are these ALIEN abductions about? Read the papers! Watch TV! Go to the movies! FACT: Our government is taking risky yet necessary steps to prepare us for the impending UFO landings. 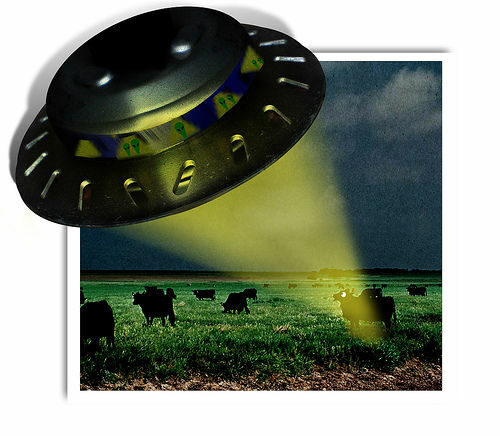 Human abductions and animal mutilations have been reported for nearly half a century. Our government knows that they are taking place, yet tries to shield us from it. Why? 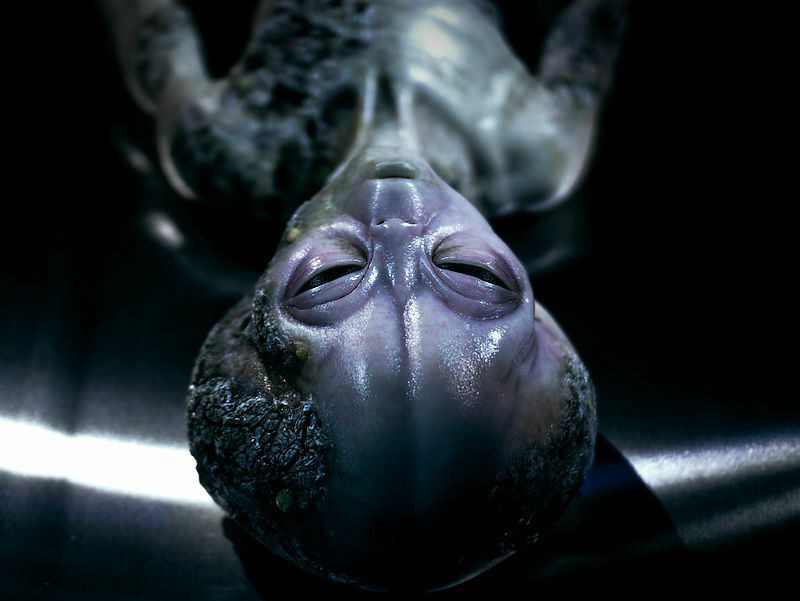 Eager to find solutions for survival on our planet to continue their species, Zetas from the star system Zeta Reticuli, commonly referred to as the "greys," traded technology for "permission" to experiment on the human race. As a result, our nation has experienced kidnapping, death and dismemberment of children, adults and animals. The abduction process usually consists of a traumatic and invasive examination, followed by one or more surgeries: the taking of human fetuses; sperm and egg collection to create hybrid "test tube babies." Human/animal cross-breeding (genetic manipulation) and human cloning are also commonplace. One client reported seeing a dozen clones of himself in holding tanks aboard a starship. When you are abducted, you usually get another implant. Shapes, sizes and locations of implants vary. The most common is a computer chip, surgically implanted just under the skin or anywhere on the body, frequently in the nasal septum causing nosebleeds. Another type is a metal ball about the size of a golf ball, implanted in the organs (liver, kidneys). The non-physical or fourth dimensional type is a flat, square energy grid. Individuals who have experienced multiple abductions generally have at least two types of implants. Can you answer "yes" or "maybe"
had frequent nosebleeds or pain in the joints for no medically-explainable reason? sensed that you were being watched, or had a waking vision that made you wonder whether you might have been visited by aliens? had a bad dream that sent shivers down your spine, paralyzed you, rattled your bed like in the movie The Exorcist, prevented you from screaming for help, and floated you out the window to a waiting spaceship? seen a being with huge, dark, watery-looking, almond-shaped eyes and wrinkled, gray skin? Was it wearing a skin-tight metallic body suit that lit up? Did its huge head seem out of proportion to its frail body? Were there three digits for fingers — like ET . . . only not as cute. 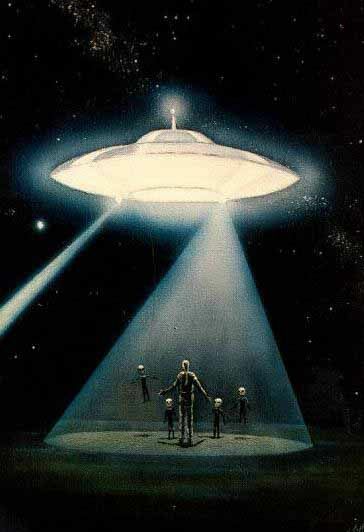 Contactee, experiencer, and participant are all terms describing an abductee. 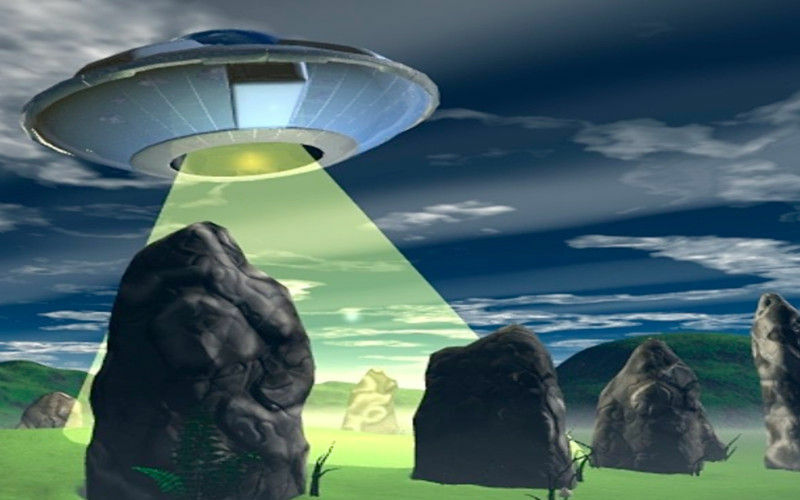 However, abductee is the term most recognized by the public. As abductees learn more about their abduction experiences, many prefer to be called contactees, experiencers, or participants. This shift in terminology often reflects the abductees' change in attitude from fear to acceptance. They accept it because they feel they cannot change the phenomena. They are a product of it and will live with its effects. Or, they may feel compelled to learn more about their abduction experience by meeting with other abductees and working with researchers. 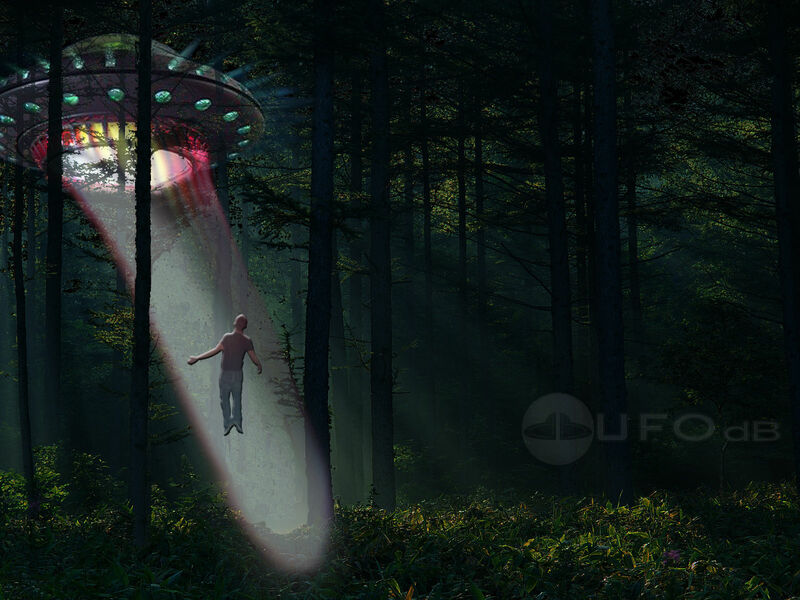 An Alien Abduction is the forced removal of a person from his or her physical location to another place. It may include an altered state of awareness for the purpose of physical, surgical, or psychological procedures performed by non-humans. After the abduction, the person is returned to his or her physical location and frequently has little or no recollection of the experience. 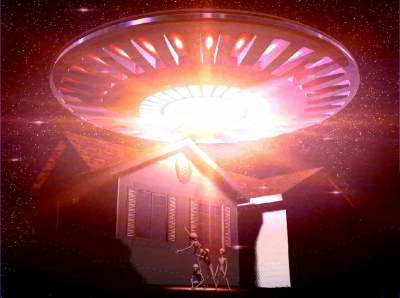 Manuel is an abductee from Minnesota who has been shown many strange symbols and pictures by the aliens. He knows the meaning of some of the symbols and drawings. He is hoping to find other abductees who recognize this star chart and what it means. Here is what he explained about the drawing. He said, "This is a particular piece. I have almost a ream of symbols related to 'memories' I now know to be implanted and 'received' that come from possible contact experiences." "I have material I am compelled to transcribe which are Rune-like in appearance. I have been compiling them since 1978. I call them automatic writings. 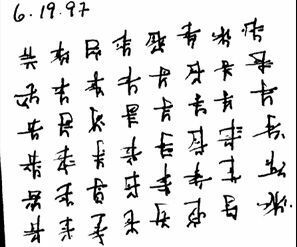 I drew this symbol below in 1990 and it was finally translated in 1997. I know what it means. I have recent material that may have been the result of a recent abduction experience. Something is up. 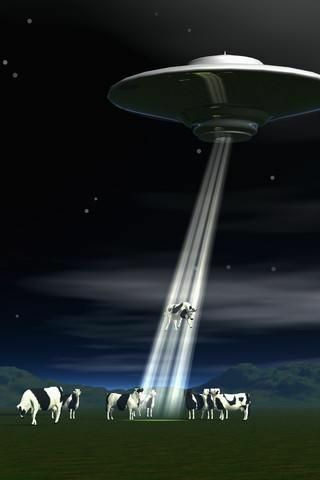 Secondly, do any abductees report being told that they are 'mission engineers'? I really need to know." These are Alien pictographs and symbols shown to Manuel from Minnesota. This star chart was shown to Lyn, an Arizona woman during an abduction. Inside the circle are pictures which she is trying to remember. Lyn has never met Manuel from Minnesota and had not seen his star chart. Note the similarities between her chart and his Minnesota Chart. Lyn explained, "When this star chart or star map was shown to me, it was in the form of a hologram, so it was three dimensional. The four quadrants were actually small galaxies or star systems. By map I mean it was a replica like a road map. Two of the top quadrants are from memory and the two bottom ones are best guesses." 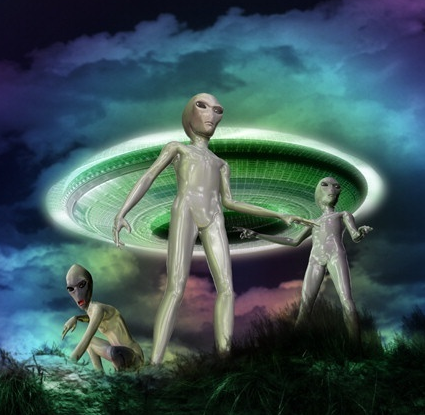 Pamela explains how she uses her alien writings for healing clients. "I have some sense of what is being transmitted in these alien writings which I call Codex Writings. I believe they are codes within patterns that alter one's energy simply by looking at them. I don't think they are a language as we are used to using that term. They predate Hebrew symbols and so, perhaps, Hebrew was inspired by the transmissions within these codes." Click on drawings to see fullsize. "I can tell you how they really started up. This is for real. I was doing a program at The Monroe Institute. In the middle of the week, an electric Blue Light Being with an energy which I cannot adequately describe, moved ever so gently into my body, shimmered, expanded my whole being, and altered my vibrations quite dramatically. 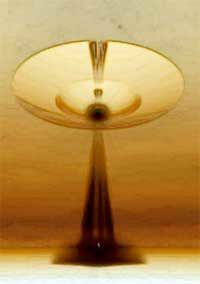 It appeared and gently did its vibrational thing two more times." "I have not seen it in 3.5 years, nor has any other entity or being visited me since. I am not in touch with etheric beings, etc. But ever since then, I channel this script, do elaborate paintings of it, project it onto people's bodies with a light projector and have made healing shrouds for clients with the codex painted on it." "Some people recognize the language and cry because it feels so ancient to them. I suspect we are seedlings from many other dimensions, and this was our language. 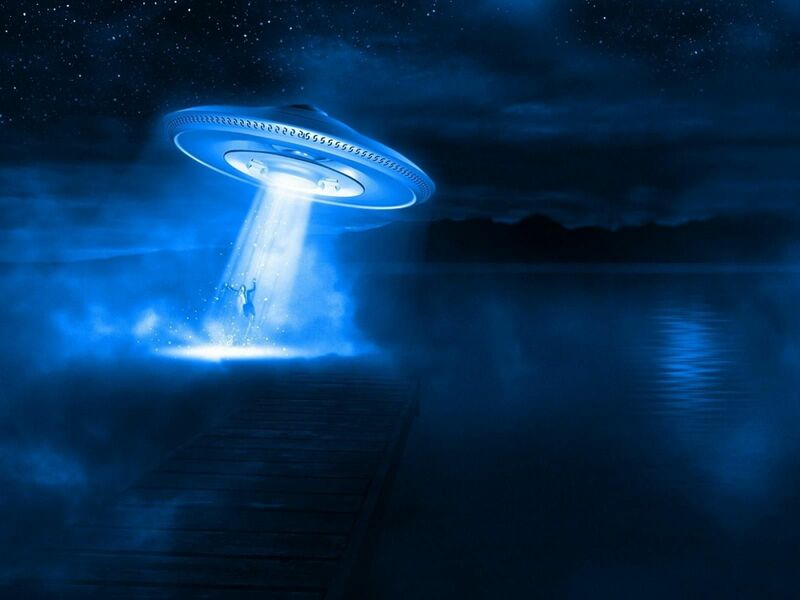 It may be Pleiadian, because of the Blue Light Being who started it within my body consciousness." "Here is another page of interpretation from the codex writings. As follows: Between the planets is the star pattern. From behind this conglomerate lies the keys to what you seek--if informed you can then know how to make contact. Your ever present sisters and brothers of love. Be meeting with us in these heavens, gathering bread for the masses, passing down and along the lines of light that which people are awaiting. We will be with you always." "Here is an entry from my diary minutes after channeling a long page of the script. 'Question: What is this stuff? Answer: They are patterns for the mind to awaken and release the next level of energy and chemicals to permit higher development of the brain and being. Keep writing and reading. It will keep opening your understanding for the future of the species.'" "I also believe they are more sacred than we can imagine. I just found your web site and others who are writing these alien symbols and I feel much less out there and alone." Diana told AAER, "I have been doing this 'writing' since I was 16. I found this flat rock and felt compelled to put these characters on it. Since then I have been able to do this 'writing.' 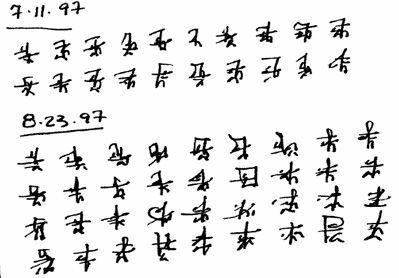 I have met others who also do a very similar writing to this and would like to hear from anyone who recognizes it." "While I do not have memories of abduction, I have had a vision of hundreds of hooded men in white robes who were listening to this text being read to them - and again if someone has had a similar vision that would be of interest." 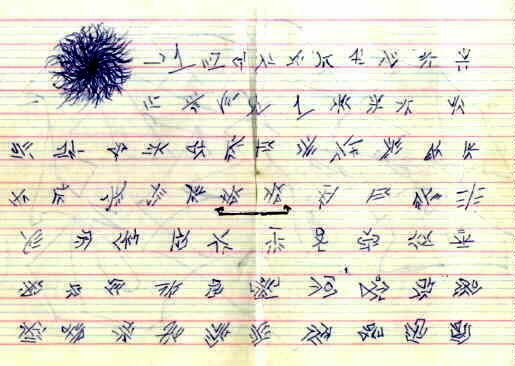 "I am sending you some symbols and drawings of an Alien made by a supposed abducted (Alfredo is his name). He was in trance when the symbols were made. I hope you'll find them useful. I would like to have your opinion." Official website of BUFORA, a UK organization dedicated to investigating UFO phenomena in the British Isles. CUFON is an organization dedicated to providing a free, 24-hour, public source of reliable, verifiable information about the UFO phenomenon. 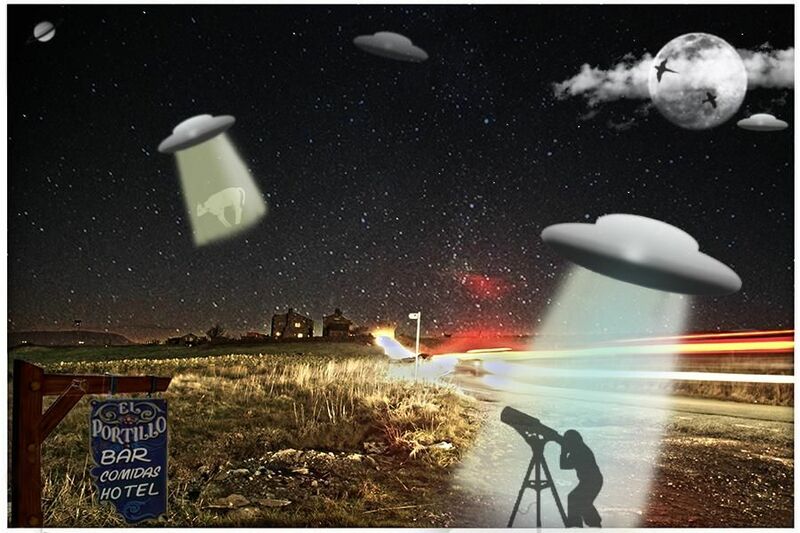 As the world's oldest and largest investigative body into the UFO phenomenon, MUFON aims to be the refuge for inquisitive minds seeking answers to that most ancient of questions, "Are we alone in the universe?" 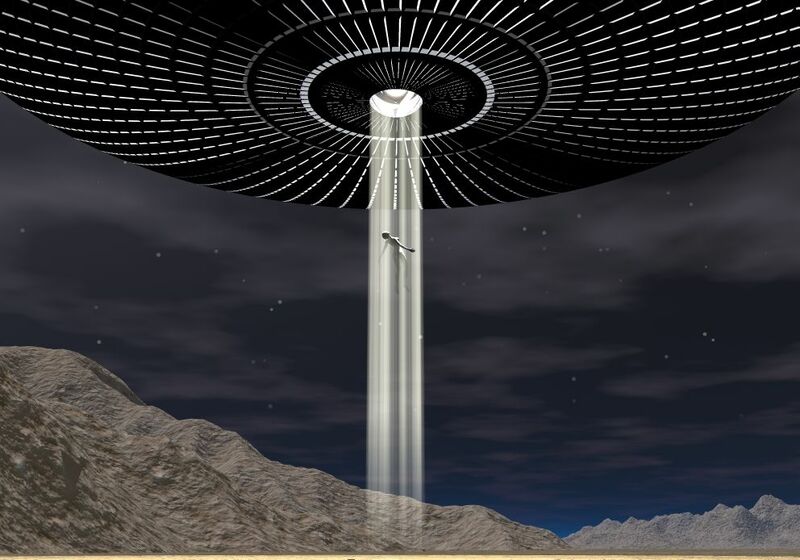 The web's most comprehensive and up to date UFO information source. 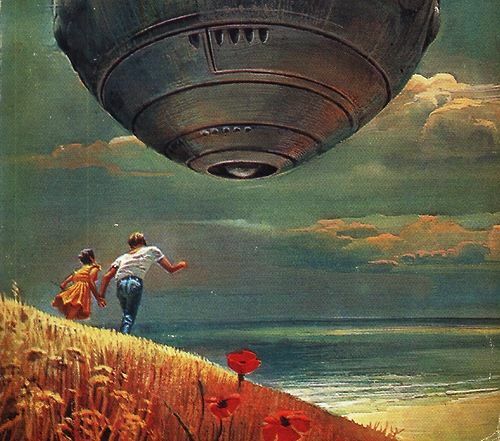 Provided by America's foremost UFO reporting agency in continuous operation since 1974. A website dedicated to exposing government secrets one page at a time. 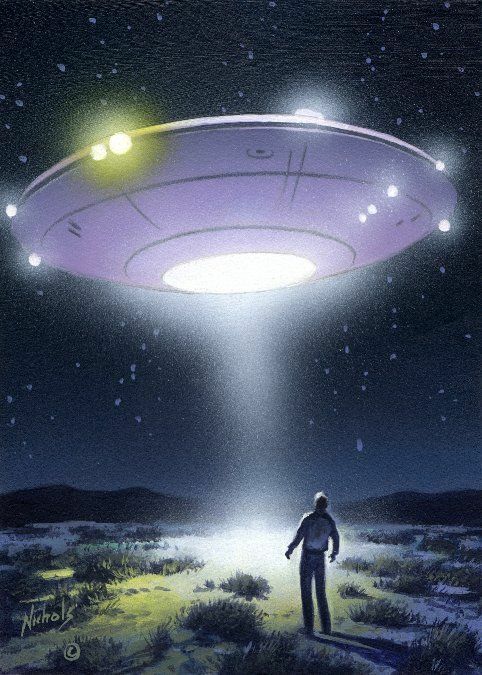 Contains an extensive collection of documents about UFOs and alien abductions. 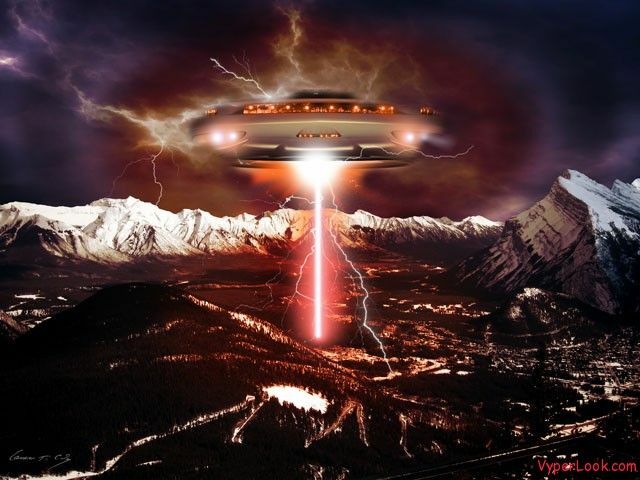 UFO Digest provides the latest UFO news and commentaries from contributors and columnists worldwide. 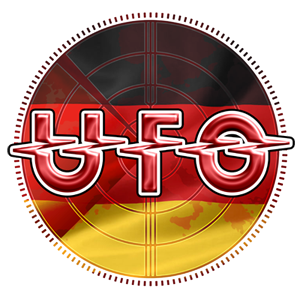 UFO NET Global is a comprehensive network of the providers of UFO-related material on the Internet, which facilitates swift distribution of UFO-related information among its members and to the world. The red rocks above, but what's below? Sedona, like many other power spots on the planet, is a place of renewal for those in need of emotional and spiritual healing. It is also the home of some of the most brilliant psychics and teachers of the healing arts in the world. Four million visitors come to Sedona each year to view the majestic red rocks and experience the magnetic vortex energy, most of them seeking a mystical or spiritual experience. My first trip to Sedona was in early April, 1995, for a two-week consulting assignment. The Pendulum Works! owner Andras Nevai coaxed me to extend my stay to assist him with a trade show in Chicago. Two weeks turned into two months. I met a psychiatrist in Chicago, Jordan Weiss, MD (not to be confused with Brian Weiss, MD), who later became my client. A clairvoyant and healer, the good doctor wrote a book called Psychoenergetics, and teaches a workshop to release emotional blocks. Promoting his work permitted me to stay in Sedona for another six months. I had lived and worked in Sedona previously, but like many residents, I felt a sudden urgency to leave. I didn't know it at the time, but the ELF and EHF (Extra-Low Frequencies and Extra-High Frequencies) that the government was testing made me so dizzy that I spent days in bed with a hunk of green malachite (my aura is green) on my solar plexus, attempting to balance myself. I didn't know much about HAARP at the time either, but I did know there was a dangerous experiment going on. 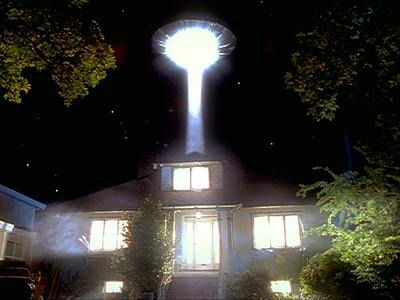 I called a local psychotherapist and acquaintance who at the time counseled UFO abductees. I came right to the point. "What do you know about the testing that's going on? I don't feel well." "Not much," she said. "But why don't you come over for a chat." She knew plenty. Her phone was tapped (like mine has been since then.) When I got to her house a half-hour later, there were huge cardboard boxes and crates all over her driveway. "What's going on?" I asked. "I'm moving," she said. "I can't take it here anymore. I've had enough of the frequencies. They're driving me crazy." Once back in San Diego, I happened to call a doctor friend who was associated with the health organization I ran. "Do you know anything about government testing and mind control devices? Something that could have made me dizzy, disoriented and have heart palpitations?" I asked him. "Coincidentally, I do," he said. He proceeded to tell me about an experience he had at lunch with his good friend, Bob Beck, and a little black box. A little box that was so powerful that it made my doctor friend have a lapse of memory, forgetting the details of a month-long trip to India. Bob Beck is an engineer who developed the ELF-EHF technology and went to work for a time as a consultant for the US government (probably the army). I've never talked with Mr. Beck, although I've heard him lecture, and I used to share information about one of his medical devices. My conversations with this doctor friend revealed that it was the army, and not Bob Beck who turned his invention into a mind-control device. You see, Mr. Beck's low frequency device entrains the brain by resonating or vibrating at the same frequency as the brain. No wonder I was disoriented! It's my guess that the military convinced Mr. Beck that the American people needed his talents and technology to defend us against the Russians, when what they probably wanted was a device to confuse and control us. Once back in San Diego, I watched a news broadcast about mysterious high-pitched humming noises in the New Mexico area, causing a young couple to abandon their new home. The scientists and government officials there didn't seem to know where these sounds were coming from. I also read about similar noises in the San Francisco Examiner. ELF waves can travel through mountains. Underground installations can cause vibrations on the surface. Communications dishes (which is what they look like) can cause your house to shake. You can read about one well-documented case of illness and house rattling in The Monster on Mingus Mountain, a self-published booklet by a 70-year-old former State of Arizona government employee, who lives in Cottonwood, Arizona, about 15 miles from Sedona. I met and interviewed many senior citizens, one lovely female octogenarian and former chiropractor who also lived in Cottonwood. I interviewed several others who lived in Jerome and the towns surrounding the foothills of Mingus Mountain who became so dizzy and weak they left too. On my last trip to Sedona, the dizziness and vertigo only happened when I went shopping in Flagstaff, about 7,500 feet elevation compared to Sedona's 3,200. Could the equipment have been transported to the top of the highest and closest mountain to cover a broader land mass? Could the government intentionally be trying to disrupt the lives of the Indian peoples? Why did jeep loads of military personnel in camouflage garb come in and out of Sedona at 3 AM? Why could I see unmarked black helicopters gassing up at the airport and Lear jets in the sky? Why did people go hiking in the canyons and get accosted by armed guards in military fatigues? If you're a dowser like I am, use your pendulum to find out what happened to the ELF-EHF equipment. I tracked the progression of illness (especially heart attacks) starting with reports in the Phoenix newspapers. Why did six Phoenix residents get heart attacks on the same day at the same hour? Track the hospital records and you'll begin to see a pattern. Why are there more incidents of cancer per capita in Sedona than in any town its size in the country? OK, so it's an affluent retirement town, and people are older, but there are lots of retirement cities scattered around the US. Here's one possibility... cancer like most diseases has a frequency which can be broadcast. My friend who has acute hearing said that she could actually hear negative subliminal messages coming across the airwaves (in the air, not on the radio) at night while people are sleeping. During these times there are also higher incidents of suicide. Nov. 1998 Gael Crystal Flannagan, pH, the wife of Nobel Prize winning scientist, Patrick Flannagan, pH, died suddenly. A radiantly beautiful and fit woman in her mid 40s, she was diagnosed with a "congenital heart aneurysm." (Congenital means existing from birth.) When I lived in Sedona, I traveled to the health food store 15 miles out of town to cut costs. I would sometimes run into Gael and Patrick. Gael once told me that from time to time a white van would show up uninvited on the outskirts of their remote desert property and set up what looked like a medium sized dish, which appeared to be pointed in the direction of their house. She said they tried everything outside of shooting the driver but there was nothing they could ultimately do about it. Sometimes the dish would be stationed there for days. Why did I return to Sedona? My real agenda for returning to Sedona, risking possible re-contamination and illness, was to once again study the UFO phenomena. But this time with a burning desire to understand the link between the ET abduction crisis and chronic illness. From a health educator's perspective, I am convinced that the effects of this nationwide ELF-EHF testing — or "communications link-up" as it is commonly referred to by our government — is the next national health crisis. I told this to a top government researcher, Dr. Candace Pert, many years ago when she spoke at a health conference I attended in West Palm Beach, Florida. The problem as I see it is that it can't be pinned down and categorized like most health emergencies, since the side effects of these high and low frequencies have a wide range of seemingly psycho-somatic (mind-body) symptoms ranging from depression, anxiety, vertigo and insomnia to tinitis, high blood pressure, heart palpitations, and in extreme cases (like we heard about in Phoenix) heart attack. If you want to know what's coming up next in the way of government testing, and especially using the American people a guinea pigs, find out what's happening on the Indian reservations. Why the Indians anyway? Natural resources: plutonium, uranium. Live in Arizona for a while, and you'll hear stories of underground rumbling and vibration. They're drilling tunnels to mine precious minerals (without permission of course) and building underground cities. Try to enter any of the old mining shafts in the Southwest and you'll probably run into the military. 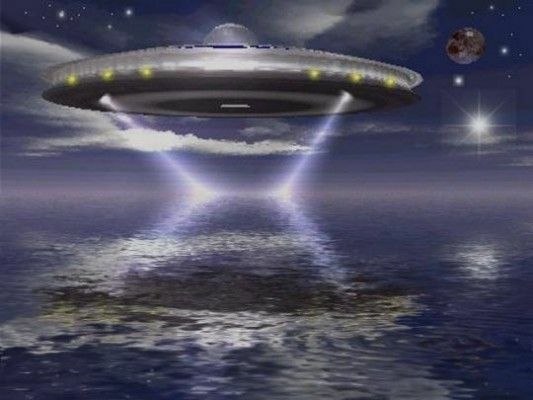 To date I have dealt with a variety of chronic health issues created by three groups of ETs known to kidnap earthlings. The first and best-known are the Zetas from Zeta Reticuli. They're known as the "greys." I still don't know why people insist on spelling it this way. Probably for their gray or blue-gray skin tone, which I now perceive to be skin-tight bodysuits. You've already seen a picture of one of them on the cover of TIME Magazine. Skinny little arms and legs with a huge head and dark watery wrap-around eyes. Only about half of the Zetas that visit Earth are bad boys and girls who kidnap and perform ghastly experiments on us. I'm guessing here... but the other half are probably trying to apologize and get them to stop. The last I heard, the Zetas have a whole colony of hybrid Zeta-Earthling children on Jupiter. That's what the abductions are about -- a giant baby factory in the sky to keep the dying Zeta race going. Are there other reasons? I've heard there are, but they're even nastier than what you've read thus far, and I don't want to get into even more sensationalism. The next group, according to tight-lipped, Sedona-based UFO writer Tom Dongo, are the Xpotz (pronounced Ex-po-taz). Several of my clients, including children, have reported seeing or having dreams of being taken to remote places by elves... little men with pointy ears, beady eyes and wrinkled skin. Imagine ET (as in the movie ET) with Mr. Spock's ears! 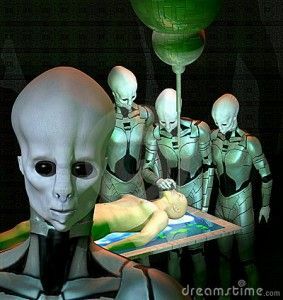 My clients who have been visited by the Xpotz have a three-fourth inch crystalline-type implant in the back of their necks, and they all suffer from acute migraine headaches. One medical doctor I worked with (a radiologist) put herself onto an MRI machine. She was hearing conversations half in English and half something else, through what she believed to be a radio transmitter implanted behind her right ear. She said that the MRI scan didn't give her any pictures of strange objects, nor did it give her any answers, other than confirming that crystalline structures won't show up on an MRI. The third and last group are the Reptilians. Special thanks goes to TAL, a major contributor to reptoids.com, who has provided me with a ton of valuable information. These reptilian hybrids have, according to the experts, been on planet Earth long before we arrived by spacecraft lifetimes ago. I have a friend who actually saw three of them at dusk while camping near Yosemite. I can't help associating them with the reptilian characters on TV's Deep Space Nine. Some people say that that the Secret Government and the New World Order report to the reptoids; that they were responsible for Hitler's regime and involved with the atrocities. This is discussed in detail in David Icke's new book, The Biggest Secret, or you can e-mail TAL. I've had some but limited experience with this group. I worked with a woman who had what appeared to be a goiter on the right side of her neck. It was actually a tumor caused by tissue growing around an implant. Her boyfriend, who admitted being of reptoid origin, actually transformed his etheric body into a reptoid before her eyes. "His hands were more like paws. They were curled under and had claws," she told me. That leads me to another interesting story. I was living in San Diego, attending a new-age "11:11" meeting. (August 11, 1999 at 11:11 a.m. was the first moment of ascension, when our planet shifted into the fourth dimension.) "Read this flyer," the women sitting next to me said. "If it interests you, and you understand what it means, come to a gathering at my house next week." I read the flyer and declined. A friend of mine went anyway, although she didn't understand the meaning of the flyer either. 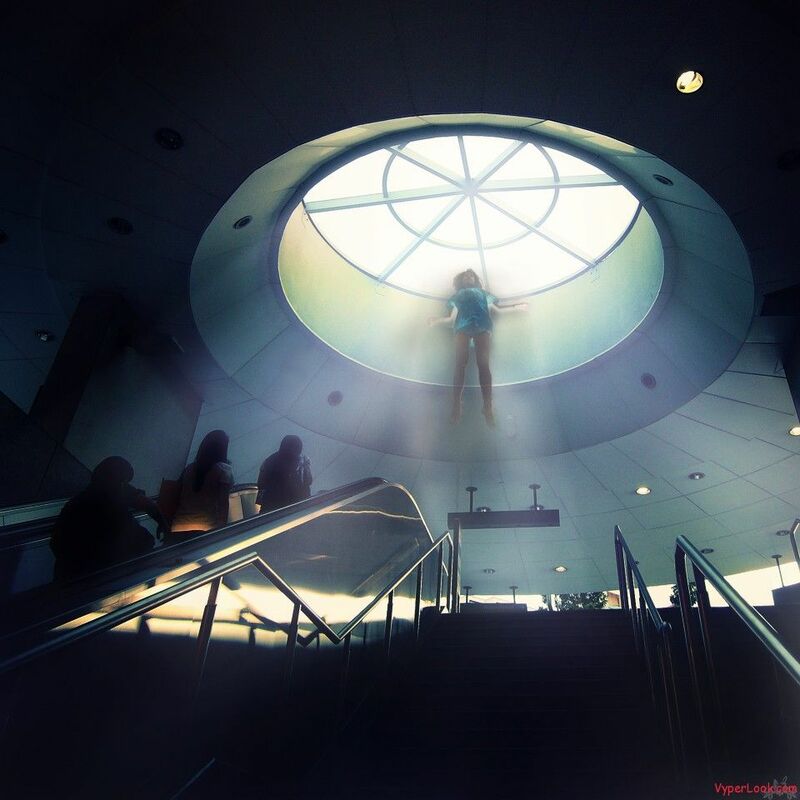 A clairvoyant, she reported, "The minute I entered the house, all the people there looked like they had another body extending upwards beyond their human physical forms. Reptilian-type bodies with a big heads, about ten feet tall." 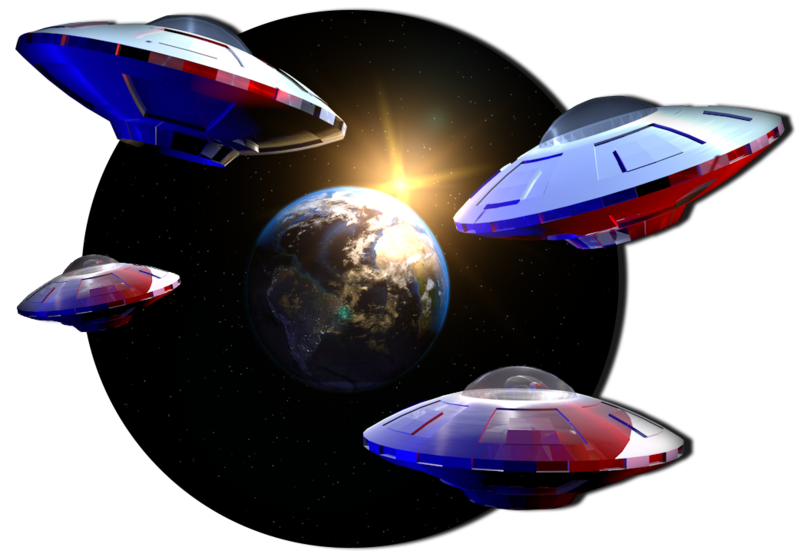 Do you remember reading earlier that there may be as many as two million UFO abductees in the US alone? How is that possible? First, we're looking at a phenomena that probably started as far back as your great, great grandparents. Some people believe that our government gave the greys "permission" to abduct us and experiment on us, but only for a while, in exchange for military secrets (nuclear weapons, space technology.) 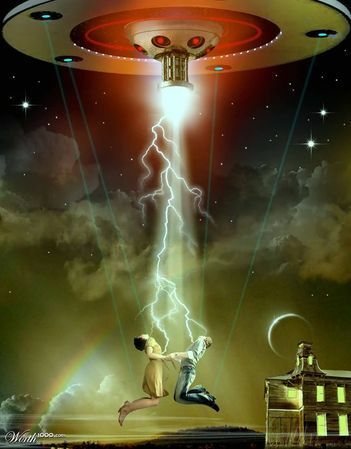 If you check the genealogy (family tree) of most people who have been abducted, you'll find that the abduction process spans about six generations, and that the abductee generally gets another implant almost every time he or she is abducted, either in the physical body or the etheric bodies. I was on a cable television show, UFO-AZ, that focused on implants. The implants the guests brought on the show were flat, thin metal bands. The implants the surgeon (Dr. Roger Leir) produced were also metal, but puffed and triangular. I talked with hypno-anesthesiologist and Leir's former associate, Derrel Sims, by phone several years ago. I advised him that a friend of mine had X-rays of implants resembling three-quarter inch needles in her foot. Sims reported that the surgical team had removed needle-type implants, and asked if my friend would be interested in participating in their study. She declined and requested copies instead of the MUFON Journal and UFO Magazine articles in which the surgical procedures were explained and photographs of the implants were reprinted. When she read about the implants having magnetic properties, her boyfriend put large powerful magnets on her toes as an experiment. A clairvoyant, her boyfriend reported seeing "reptoid-type beings showing up during the session." So, if my math is correct, the reptoids are connected to the three-quarter inch needle-type implants, the greys with the flat metallic bands and puffed triangles, and the Xpotz with the three-quarter inch crystalline rods. I bet you won't read that anywhere else! Dear Gail: I found your web page on implantation. I have suspected for quite a while that both myself and my son, who just turned thirteen, have implants. We both suffer with migraine headaches, and he has frequent nosebleeds, like I did throughout my childhood. I also believe that a series of dermoid tumors could have been some kind of experimentation. Doctors have no medical reason for the existence of these tumors. I had a set removed from my ovaries at the age of 17, in 1980, and another set removed in 1995. Then in 1996, when they were apparently growing again, I finally had a full hysterectomy. The circumstances surrounding all three surgeries were highly unusual. The first and the last surgery had a mysterious blood loss four to five days after the surgery. In both cases, I was pronounced well enough to go home, and during the night, my blood levels dropped so dramatically that I required additional hospitalization and transfusions. There was no sign of internal or external bleeding. The surgery in 1995 was performed during a pregnancy that was completely unexpected. I had radiation treatment for sudden thyroid acceleration. I discovered that I was pregnant about six weeks after the treatment. Three days after I found out that I was pregnant, I had horrible pains and admitted myself to the hospital, thinking I was miscarrying. I was told that there might be a strong possibility (of a miscarriage), since the fetus may have been already damaged by the radiation. I was shocked to learn that on top of everything else, I had another set of dermoid tumors. Supposedly these do not recur. I had surgery two days later and again was counseled that I would probably lose the fetus during surgery, since they almost never survive anesthesia and surgery of the reproductive area. Just before I was taken into surgery, I recall that a woman came into the OR prep area and injected something into my leg. Since I was already on drugs at that point, she struck me as oddly out of place. She told me that the shot was to "protect the baby." When I woke up in the recovery room, the doctor leaned over and whispered, "Everything is intact." I knew that the fetus had survived. The next few weeks were hellish for me mentally. I constantly thought of the baby as inhuman, and to be honest, it scared me. I am not one to promote abortion as a birth control method, nor as something to be taken lightly, but everything in my soul told me to get rid of this thing growing inside me. There was never a moment when I thought of it as a baby. I am not crazy, but I feared for my life, so I terminated the pregnancy. Under my doctor's care, my condition worsened, and a year later I had the hysterectomy. It was the next morning after that strange night in the hospital that I was told that I could go home. That's when I once again suffered from a mysterious blood loss and panicked the medical professionals trying frantically to find an answer. That night was strangely vivid to me. 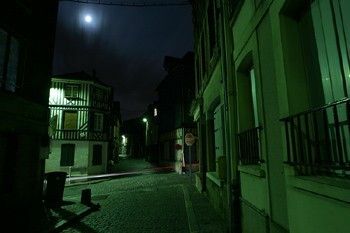 Even now I recall sitting in bed, looking out at the street at about midnight, and it struck me as oddly still and dark. I was in the tower that overlooked the entrance to the hospital. On every other night there were traffic and sirens. This frozen scene of silence disturbed me, and I remember thinking, "What does this mean?" My mother has called me "the little alien" for years, half joking about the experiments they did on me which produced the dermoids. I was identified as a "Star-person" about eight or nine years ago, and she fully believes that we are descendants of other worlds. When I gave birth to my son, I had some complications, but I think the most notable thing was that he was highly developed. His nails were very long and he was holding his head up on the way home. Oh yes, and since I had a cesarean birth, my ovaries were checked out due to my history, and they were free of any kind of tumors, which rules out the possibility that there was some remnant that continued to grow until they were discovered in 1995. The first night I was home with him, I had a dream that I looked into his bassinet and found an alien baby there. This frightened me, and I blocked the memory out until recently. About two years later, the migraines from my childhood returned with a vengeance, sometimes lasting up to five days non-stop. My son started having those same migraines at about the age of 18 months. He also had an unexplained skull fracture at the age of eight months. I came home to find him whimpering. He had a V-shaped red mark on his forehead and was vomiting. I took him to the hospital and the X-rays showed a fracture in a complete circle around his head that he (the doctor) believed must have occurred that day. However, the X-rays also indicated that the crack was already showing signs of mending. I was at work, and both his daycare provider and his father passed lie detector tests showing that they did not hurt or drop him, nor did they witness the injury and trauma. The origin of the fracture remains a mystery... even 12 1/2 years later. Dear Jeanette: Your letter is by far the best and most thorough I have read in the seven years I have been doing this work, although I did meet a woman who is well into her sixties who reported a similar situation. I met her at an abductee networking meeting while at the Gulf Breeze UFO convention near Cape Kennedy, FL. She told me that she is one of the case studies depicted in David Jacobs' book, Secret Lives. Would it be possible to duplicate your letter to me on my website, deleting your last name and e-mail address of course? 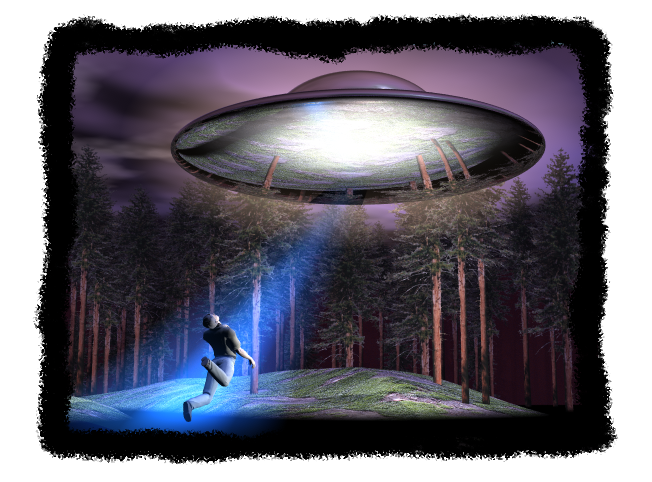 My webmaster calls herself a "contactee," as do I, since we are not abductees. You asked for my story, and here it is. I have never printed it, but since typing it will take so much time and effort, I am considering adding it to my website along with yours, since I feel the time is getting closer for people to understand the totality of this phenomenon. I have been reluctant to lecture at health and/or UFO conferences, since a variety of authors, lecturers and prominent workshop leaders (Robert Morningsky and Whitley Strieber to name a few) have been told (or should I say repeatedly threatened) to "keep quiet" by our government. If you track these warnings like I do, many of these individuals wind up having serious automobile accidents. Maurice Chatelain, former NASA space scientist and UFO author, died in an auto accident. I visited Maurice at his home in Los Angeles about fifteen years ago. He told me that someone who wanted him to keep quiet was "stealing his Social Security checks out of his mailbox to harass him." I don't know if there was any correlation, but now you know why I feel safer hiding behind my website; and although I would be willing to make a grand splash on national television, public appearances at small groups, and even at large conferences, feel too risky. 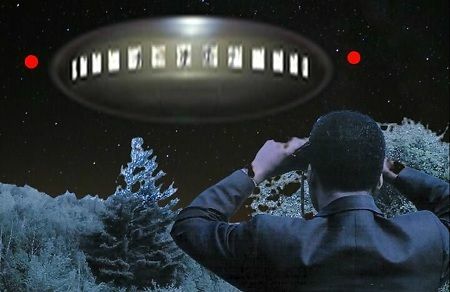 A website created in order to provide the public with an archive of the latest research, articles, and news regarding the alien/UFO abduction phenomenon. 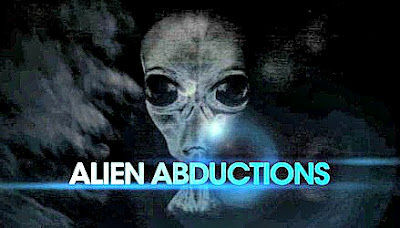 The world's oldest and largest research website into the Alien Abduction experience. Features an Alien Abduction Survey, discussion group, questions and answers, research, photos, drawings, personal encounters, and more. Causes & signs of Autism Spectrum Disorder among children explained with the help of alien abductions told and drawn by children with autism who were victims. 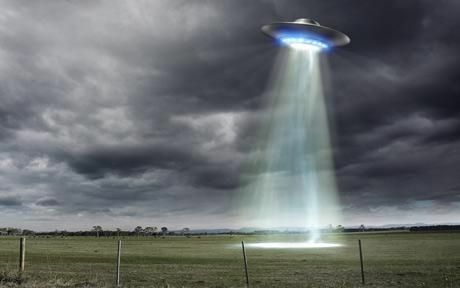 The International Center for Abduction Research (ICAR) is an organization devoted to the dissemination of trustworthy information about UFO abductions. Heute waren schon 33870 visitors (72186 hits) hier!